The Schwinn Aidryne Exercise Bike is the wind resistance total body workout. Starting with natural motion, Schwinn designed this exercise bike to help you reach your fitness goals without little to no impact. 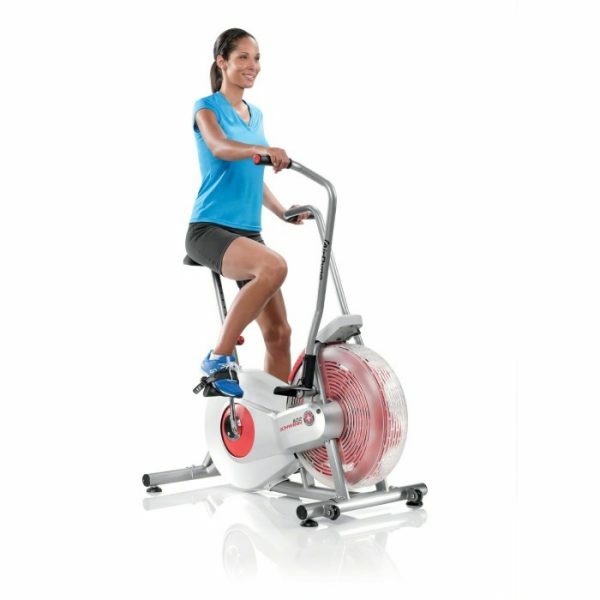 Providing a unique full body cardio workout the Schwinn AD2 Aidryne Exercise Bike works your arms and legs at the same time. The resistance system offers an unlimited amount of levels to make your workout as easy or difficult as you like. Also provided on the Schwinn AD2 Aidryne Exercise Bike is stationary foot pegs for those times you need to isolate and work just your upper body. Use the simple LCD screen to track your speed, rpm, distance, time and how many calories you’re burning. Overall, the Schwinn Aidryne Exercise Bike is full body exercise that will help you reach your fitness goals.